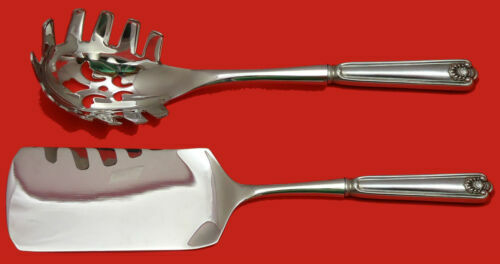 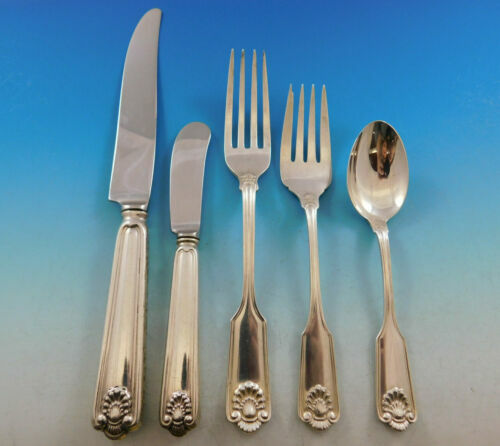 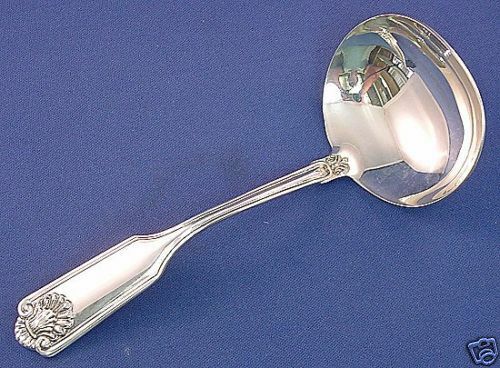 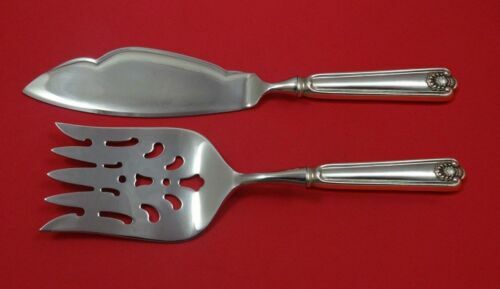 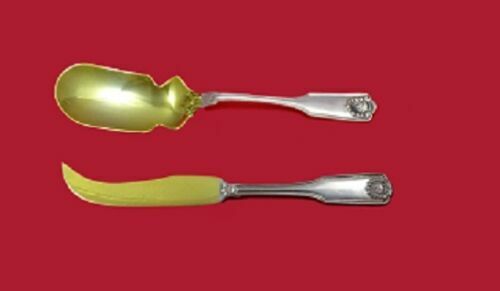 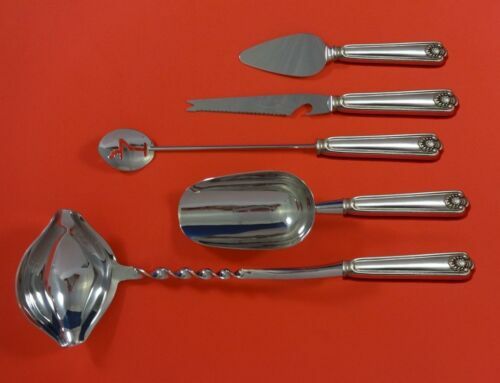 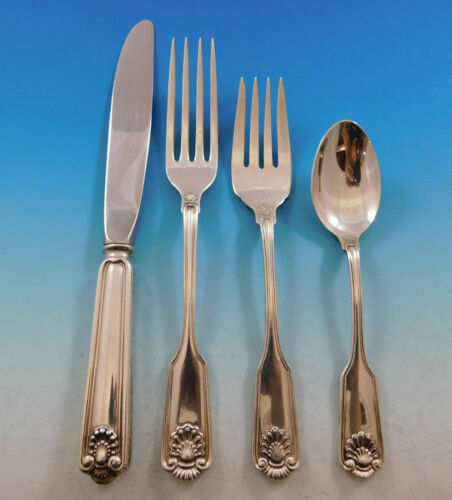 $209.0 Fiddle & Shell by English Sterling Silver Dinner Fork 8"
$209.0 Fiddles & Shell by Spaulding & Co. English Sterling Serving Spoon Ovoid 9 7/8"
$209.0 Fiddle & Shell by Georgian House Sterling Silver Dinner Fork 8 1/2"
$650.0 20 pcs. 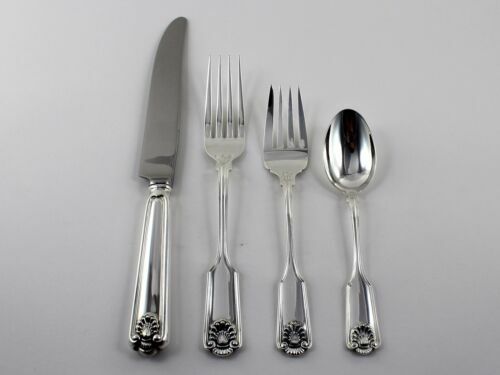 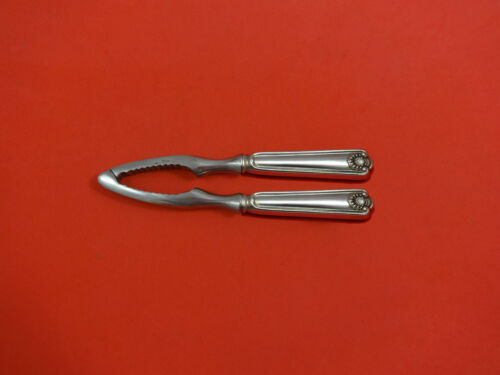 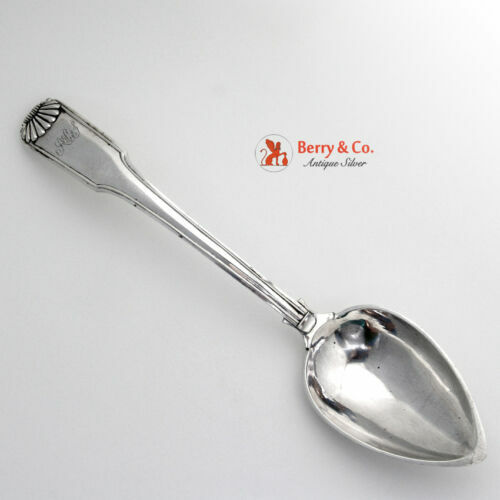 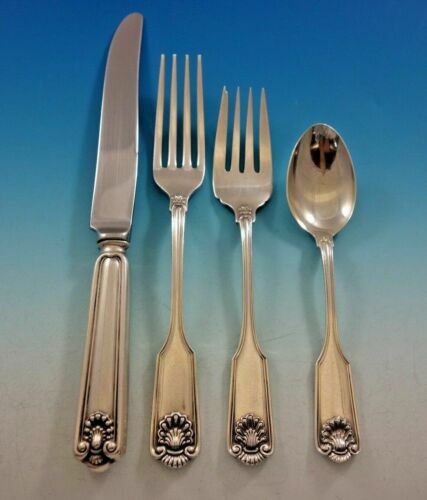 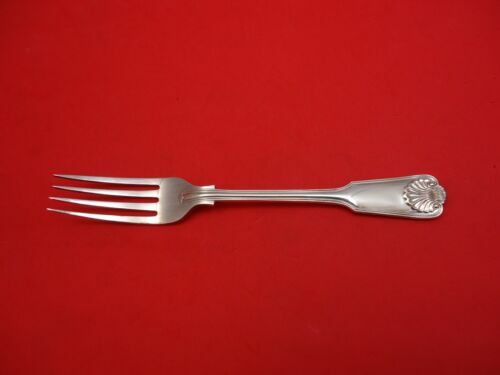 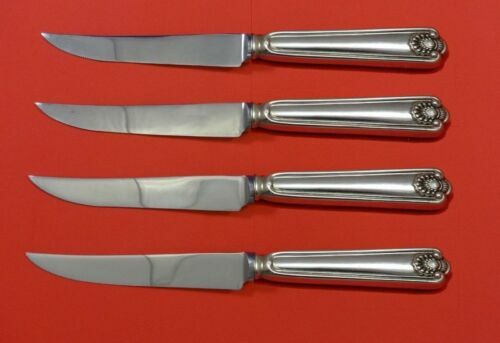 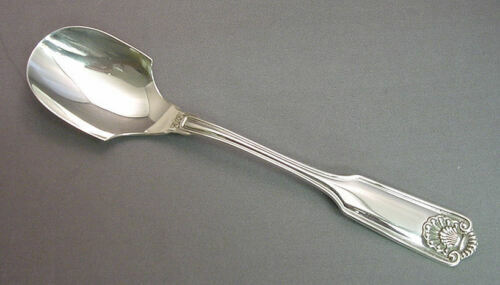 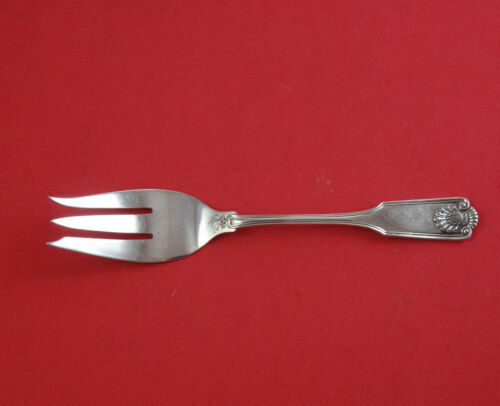 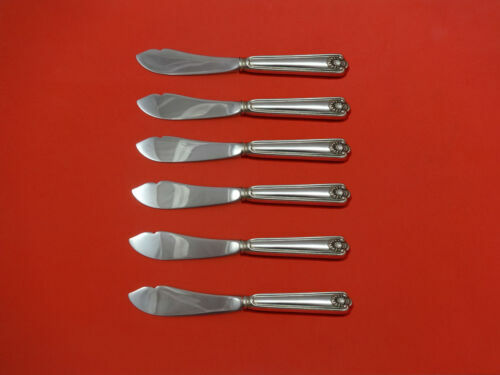 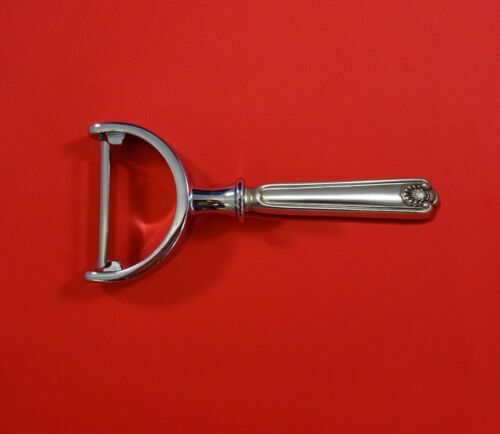 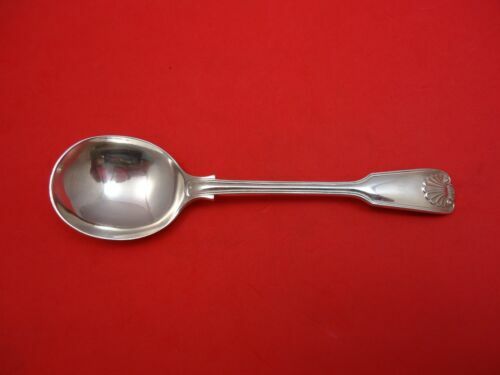 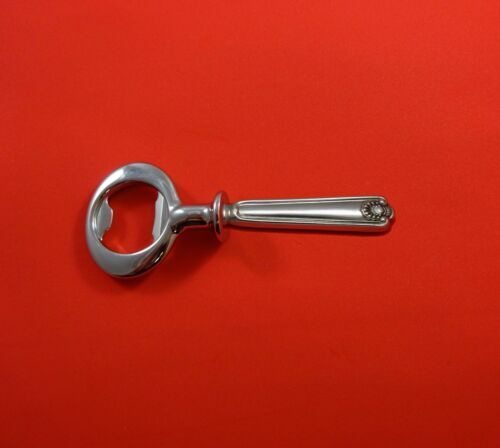 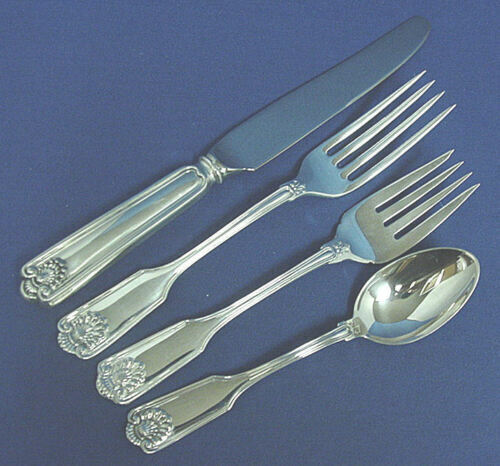 Sheffield Thomas Smith FIDDLE & SHELL Sterling Silver Flatware 26+ oz. 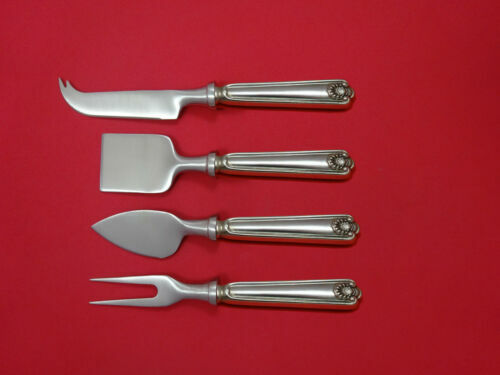 $259.0 Fiddle & Shell by Georgian House Sterling Silver Serving Spoon 9"
$169.95 Fiddle shell handle ABSA Sterling Casserole Serving Spoon 8 1/2"
$209.0 Fiddle & Shell by Spaulding & Co. English Sterling Silver Dinner Fork 7 1/2"
$209.0 Fiddles & Shell by Spaulding & Co. English Sterling Silver Dinner Fork 7 1/2"
$199.0 2 Fiddle Shell by Frank Smith Sterling Silver Dinner Fork 7 1/2"
$155.0 3 Fiddle Shell by Frank Smith Sterling Silver Teaspoon 5 3/4"
$159.0 Fiddle and Shell By Spaulding and Co. Sterling Silver Place Soup Spoon 7 1/8"
$399.0 Fiddle Shell by Frank Smith Sterling Silver Fish Fork Set 4pc AS Custom 7 1/4"
$209.0 Fiddle and Shell By Spaulding and Co. Sterling Silver Banquet Fork 8 1/8"
$289.0 Fiddle Shell by Frank Smith Sterling Silver Steak Knife Set 4pc Custom 8 1/2"
$159.0 Fiddle & Shell by Georgian House Sterling Silver Dinner Knife 10 1/8"
$139.95 Fiddle shell handle I HOLM Sterling Sugar Condiment Spoon 5 3/4"
$209.0 Fiddle and Shell By Spaulding and Co. Sterling Silver Serving Spoon Ovoid 9 7/8"
$189.0 Fiddles & Shell by Spaulding & Co. Sterling Silver Banquet Knife 10 1/4"
$159.0 Fiddles & Shell by Spaulding & Co. English Sterling Place Soup Spoon 7 1/8"
$189.0 Fiddle Shell by Frank Smith Sterling Silver Berry Spoon 7 3/4"
$119.0 Fiddle Shell by Frank Smith Sterling Silver Serving Spoon Pierced 8 1/4"
$189.0 Fiddle and Shell By Spaulding and Co. Sterling Silver Banquet Knife 10 1/4"
$189.0 Fiddle & Shell by Georgian House Sterling Silver Place Soup Spoon 7 1/2"
$129.0 Fiddles & Shell by Spaulding & Co. English Sterling Salad Fork 3-Tine 6 1/2"
$129.0 Fiddle Shell by Frank Smith Sterling Silver Dinner Fork 7 1/2"
$139.0 Fiddle Shell by Frank Smith Sterling Silver Vegetable Peeler HHWS Custom 6"
$99.0 2 Fiddle Shell by Frank Smith Sterling Silver Regular Knife 8 3/4"
$129.0 Fiddle and Shell By Spaulding and Co. Sterling Silver Regular Knife Blunt 9"
$119.0 Fiddle Shell by Frank Smith Sterling Silver Gravy Ladle 6 1/4"
$39.0 Towle Sterling Silver Fiddle Shell Ice Cream Fork 5 1/2"
$29.0 Towle Sterling Silver Fiddle Shell Sugar Shell 5 3/4"
$129.0 Fiddles & Shell by Spaulding & Co. English Sterling Silver Regular Fork 7"
$92.65 Fiddle Shell by Frank Smith Sterling Silver Bottle Opener HH Custom Made 6"
$129.0 Fiddles & Shell by Spaulding & Co. Sterling Silver Regular Knife Blunt 9"
$29.0 Towle Sterling Silver Fiddle Shell Cream Ladle 5 3/8"